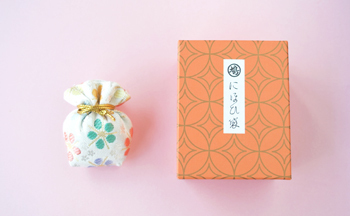 No trip to Tokyo would be complete without some souvenir shopping, but scoring the ultimate omiyage can be a real pain sometimes. 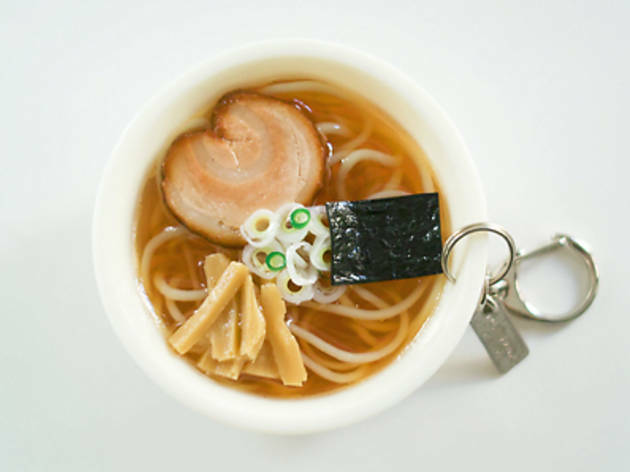 We've made life easier by picking 25 great Tokyo souvenirs, ranging from the traditional (incense, combs, lucky charms) to the downright quirky (tooth-shaped jewellery, anyone? 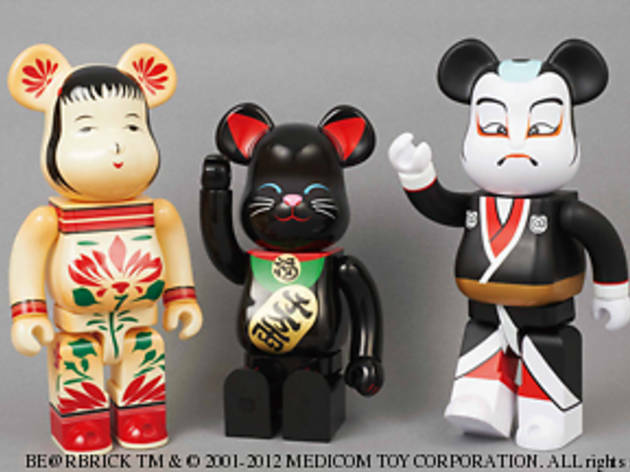 ), and most of them are sold close to the city's main sightseeing spots. 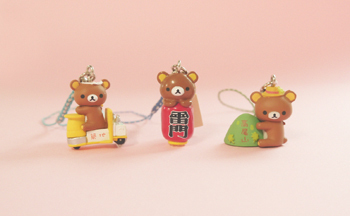 Happy shopping, and remember: there's more to souvenirs than Tokyo Banana. 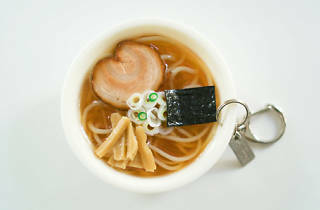 A fixture on the Kappabashi 'Kitchen Town' circuit since 1932, Ganso Shokuhin Sample-ya produces fake food for display in restaurant windows, but in recent years it's branched out into keyrings, mobile phone straps and DIY 'Sample'n Cooking' kits. 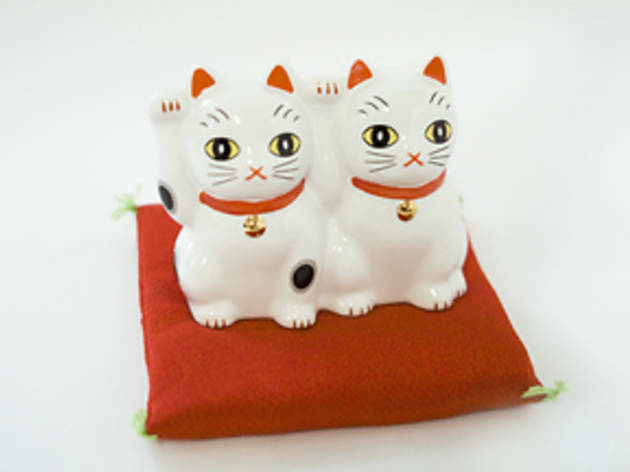 The maneki-neko 'beckoning cat' figurines beloved of Japanese shops and pachinko parlours are believed to have started life at this shrine to all things romantic. 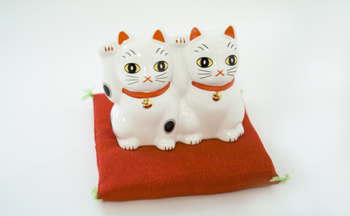 Imado's distinctive conjoined cat statuettes would make a perfect gift for a lovestruck couple. 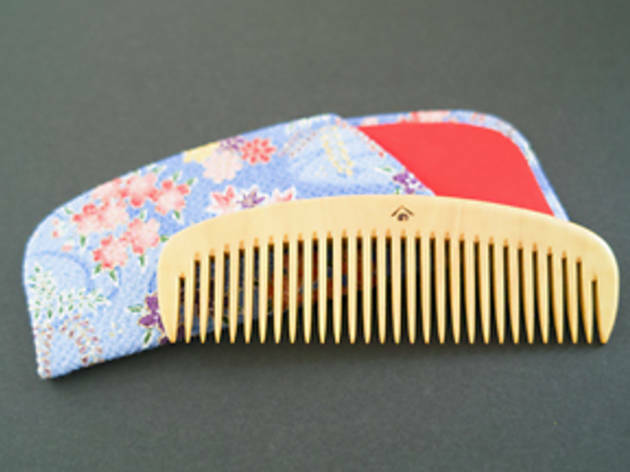 Handmade combs may be a dying art, but the boxwood beauties on sale at this Asakusa shop (established all the way back in 1717) should last for a generation or two if taken care of properly. 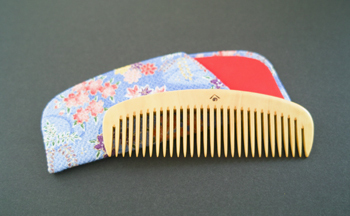 Prepare to be tempted by the elegant hairpins and keyrings on offer. 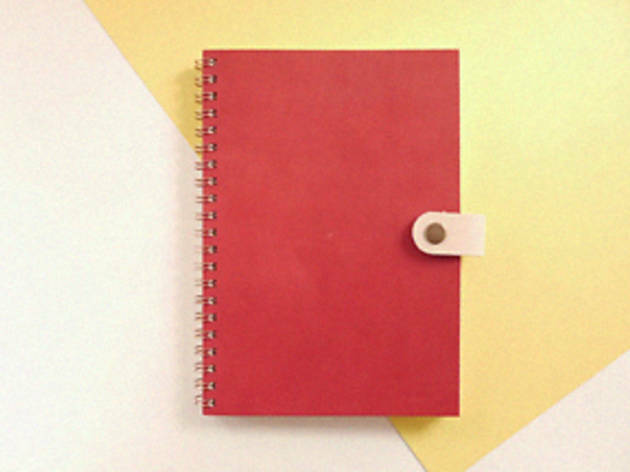 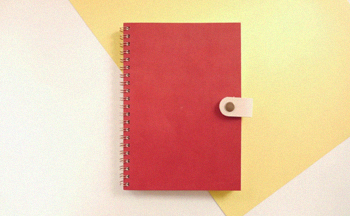 You might find yourself falling in love with the art of writing all over again after a visit to stationery shop Kakimori, where staff can craft you a custom-made notebook using a range of locally produced paper, covers and bindings. 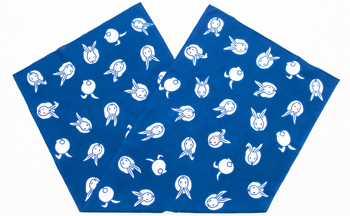 Traditional Japanese motifs are given a modern twist at Tokyo Kitsch. 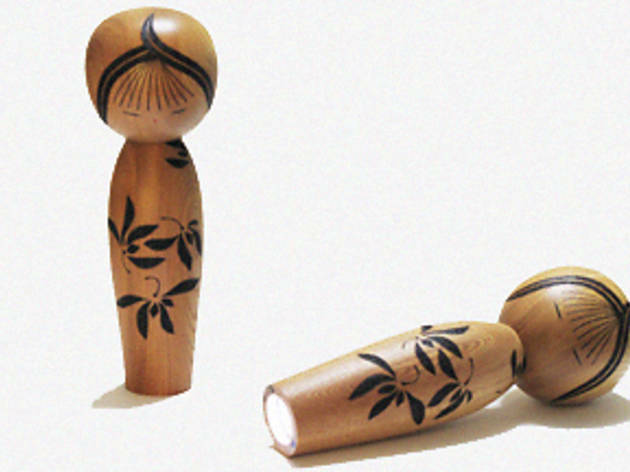 Their 'akari kokeshi' wooden doll conceals an LED light that switches on automatically when it's picked up or knocked over – a neat trick that might prove invaluable if (or when) the Big One hits. 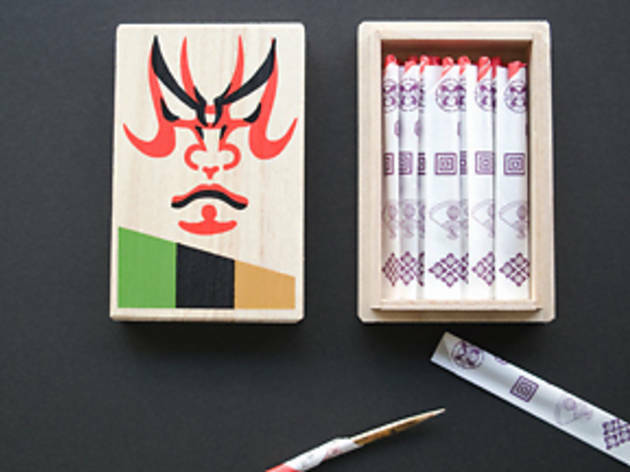 Operating for over a century now, the family-run Midoriya offers bamboo products ranging from the everyday to the exquisite. 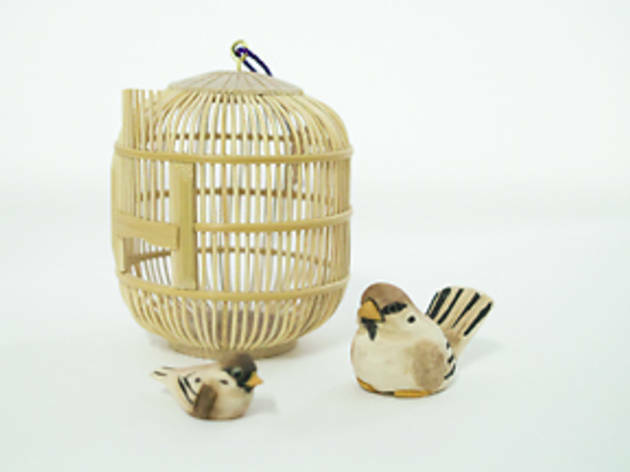 Its traditional mushikago cages come in a range of shapes and sizes, and you can even buy bamboo birds and insects to put inside. 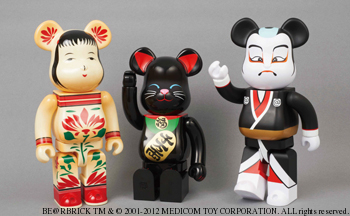 Housed in Tokyo Skytree's onsite mall, the flagship shop for Medicom Toy shows an admirable respect for its 'hood, with traditional-style Be@rbrick figures decorated to resemble kabuki actors, daruma dolls and more. 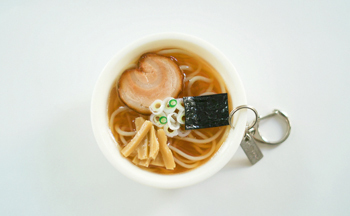 Small and portable, chopsticks make for ideal souvenirs. 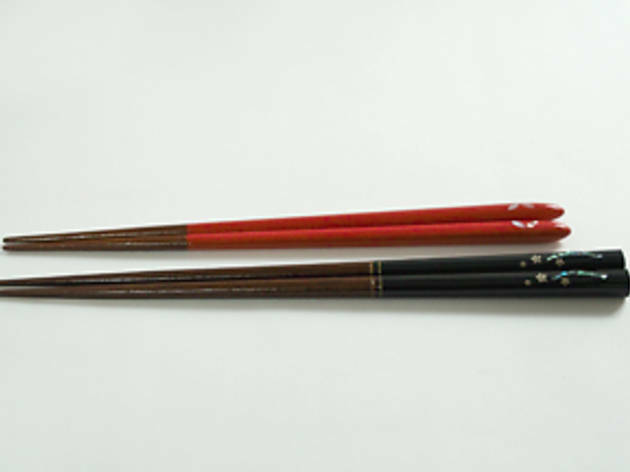 Mind you, some of the offerings at Natsuno – including lacquered pieces from various regions of Japan – look so gorgeous you might be reluctant to actually use them. 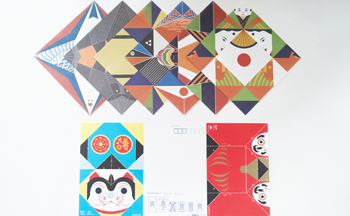 Huge and almost invariably busy, Ginza's Ito-ya shop is the go-to place for Japanese stationery. 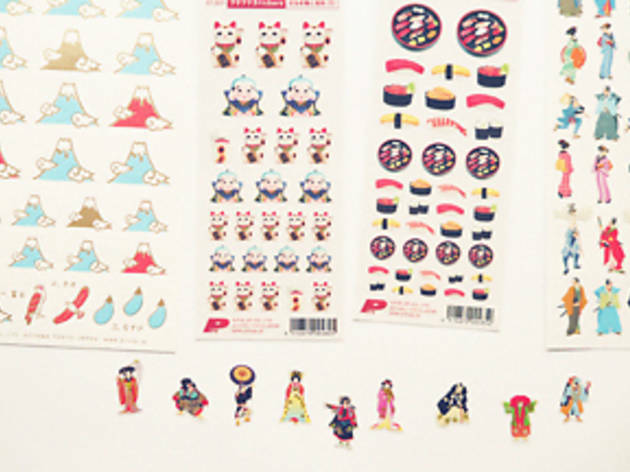 Head down to the basement and you'll find a selection of suitably Japan-style stickers, including images of Mt Fuji, sushi, maneki-neko cats and kabuki. 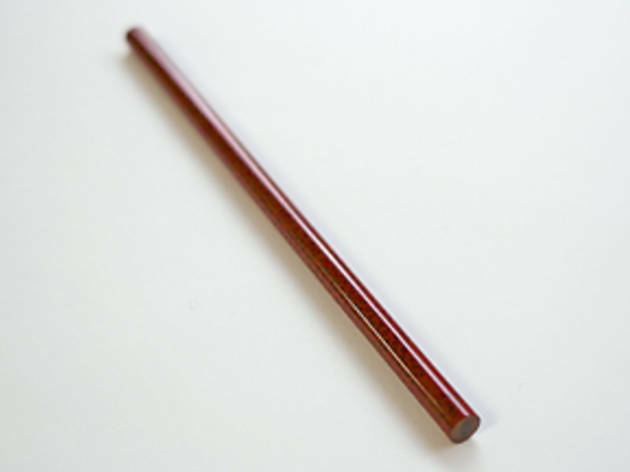 Established nearly 350 years ago, Kyukyodo supplied incense to the Imperial family during the Edo period, while also specialising in Japanese paper. 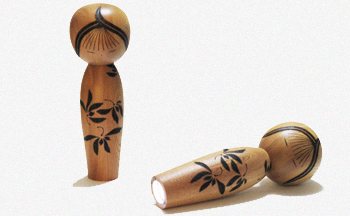 We're particularly fond of their palm-sized incense pouches, including the sandlewood-scented kinran kinchaku. 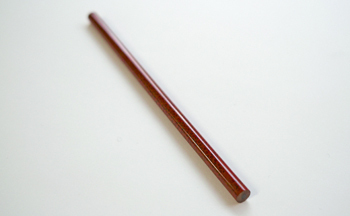 Ballpoint pens and pencils must be some of the most humdrum stationery around – at least, that is, until you've seen the items sold at Gojuon. 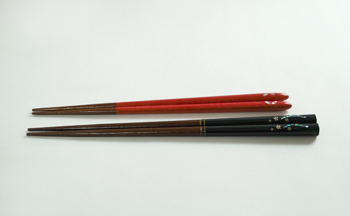 The gorgeous lacquered pencils here are crafted using traditional techniques, to produce a range of different finishes. 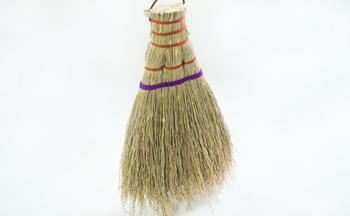 Floors, tabletops, clothes: if there's something that needs sweeping, you'll probably be able to find a broom for the task here. 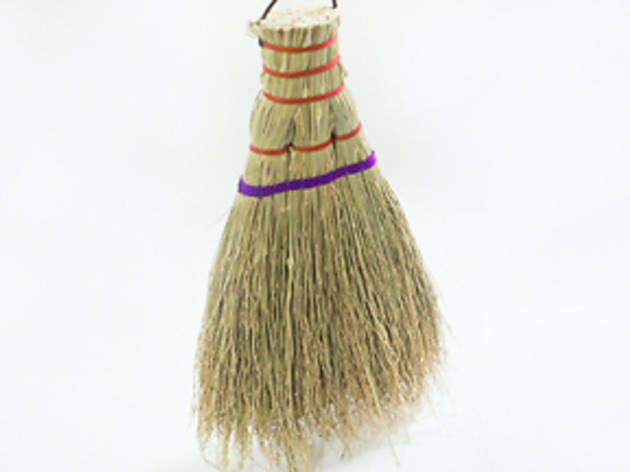 Shirokiya Denbe's Edo-style brooms are also available in compact sizes that are ideal for getting dust off suits and jackets. 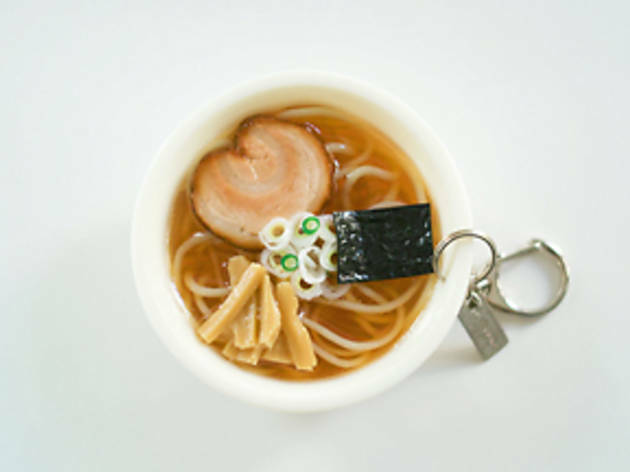 There are toothpicks, and then there are the hand-crafted little marvels sold at this three-century-old shop in Ningyocho. 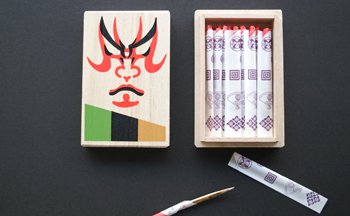 The kumadori box set comes adorned with a kabuki motif, and its toothpicks are wrapped in fortune slips carrying traditional love songs. 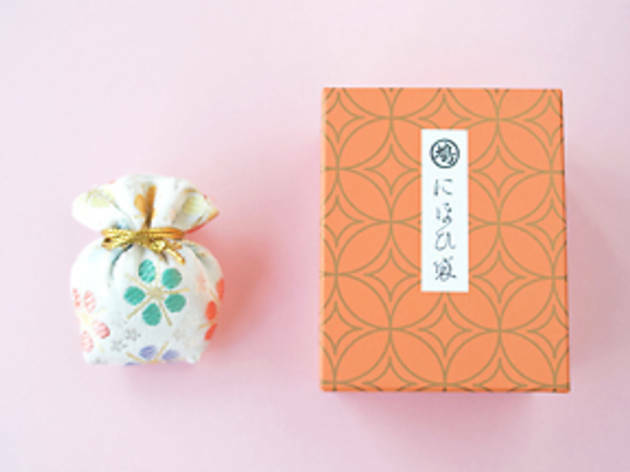 People have been buying these distinctive, three-tier lucky charms since the Edo era, when women bought them in the hope of finding a good husband. Decorated with wisteria flowers, the three boxes contain beans that rattle when shaken. 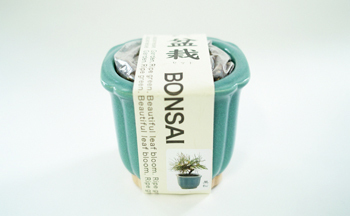 With a name like that, it'd be rude not to include Souvenir From Tokyo in this list. 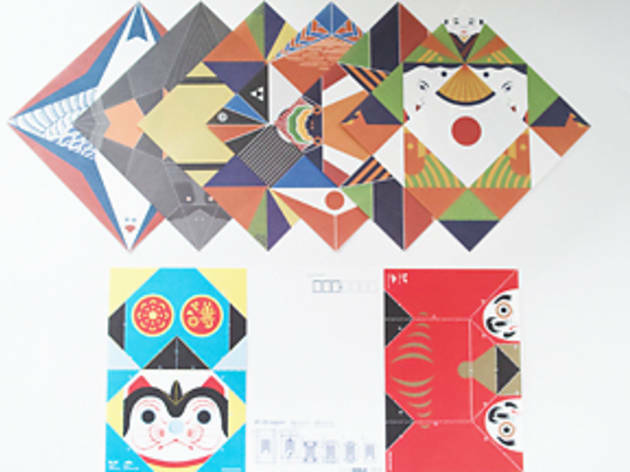 The NACT's shop lives up to its billing with a well chosen array of Tokyo- and Japan-themed design products, including this nifty printed origami paper – also sold in postcard format. 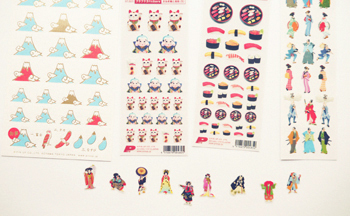 Tokyo's most famous souvenir shop is a no-brainer if you're on the hunt for Japanese gifts. 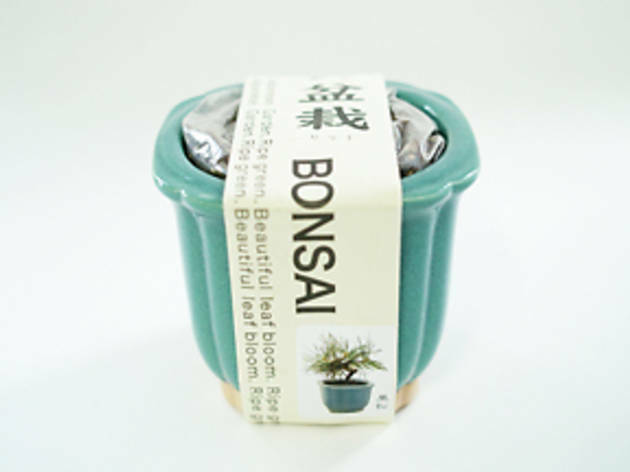 This DIY bonsai set comes complete with seeds, soil and a pot to put them in, meaning that all you'll need is water – oh, and the patience of a Zen monk. 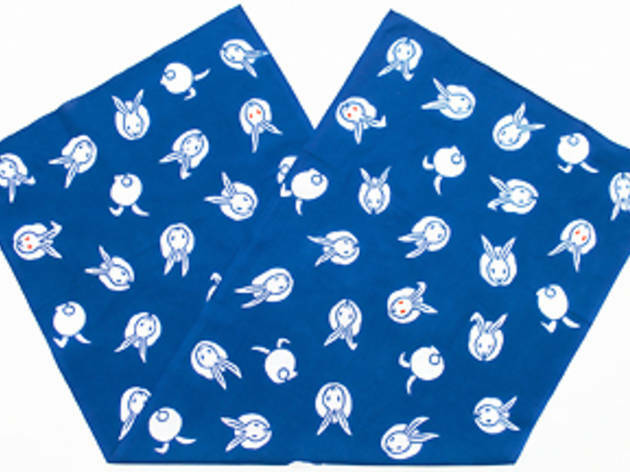 Tenugui – traditional hand towels made from dyed cloth – have been coming back in vogue recently, and there are few better places to get one than at Kamawanu. 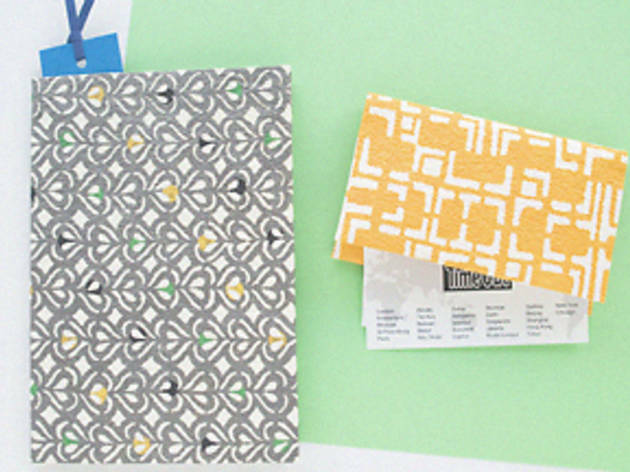 Don't be fooled by the name, either: these 'towels' can be used for a lot more than just drying stuff. 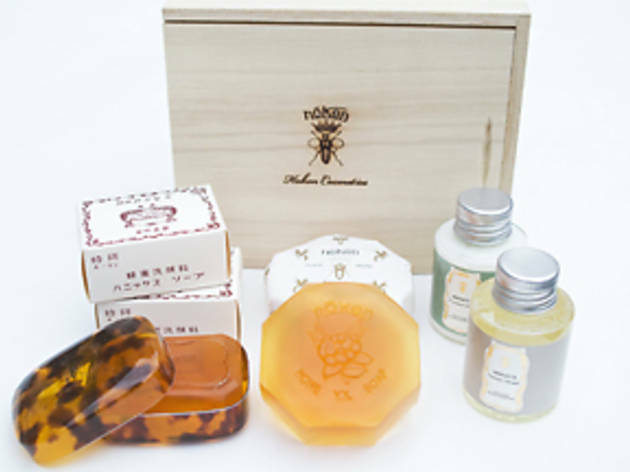 Keeping people's skin fresh and perky since 1927, Hoken's honey- and royal jelly-dervied cosmetics are an ideal gift for the lady in your life. 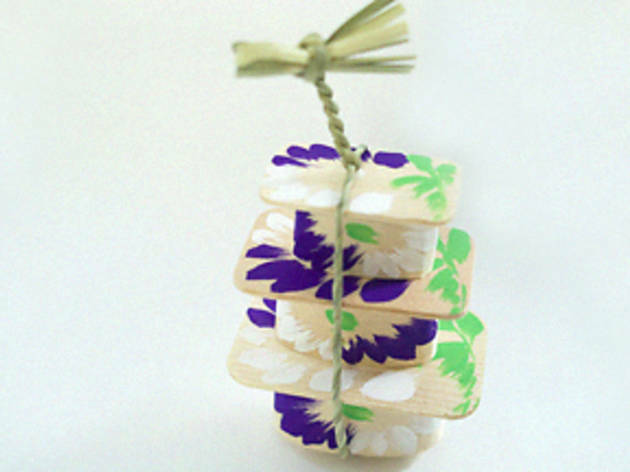 This gift set includes soaps, shampoo and conditioner, all housed in an attractive paulownia box. 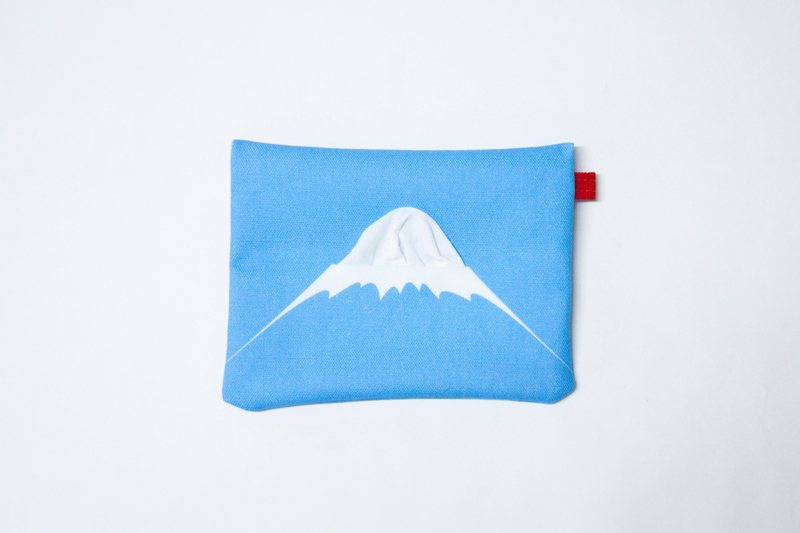 There's an entire section devoted to Mt Fuji at Katakana, Jiyugaoka's ever-reliable 'shop presenting Japanese cool'. Their tissue cases are particularly nifty – notice how the protruding tip of the hankie matches the shape of the mountain's peak. 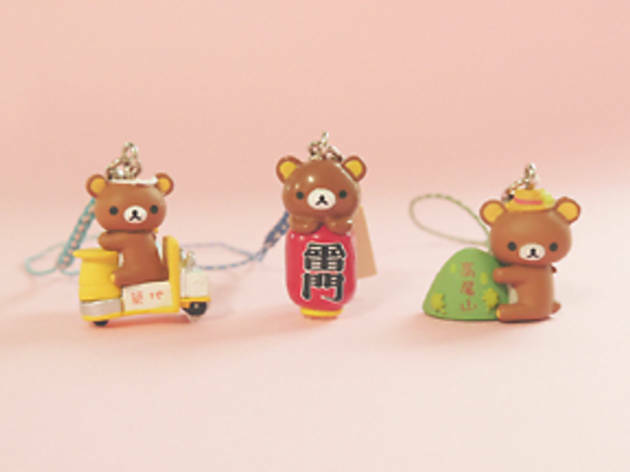 Harajuku toy shop par excellence, Kiddy Land devotes a hefty chunk of its fourth floor to ubiquitous bear character Rilakkuma, including these only-in-Tokyo phone straps featuring landmarks like Kaminarimon and Mt Takao. 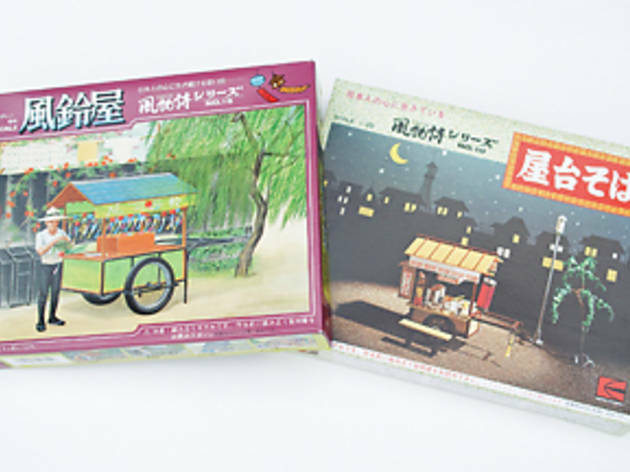 One of the nerdiest corners of the Tokyu Hands shop in Shibuya is floor 7B, home to a panoply of plastic model kits. 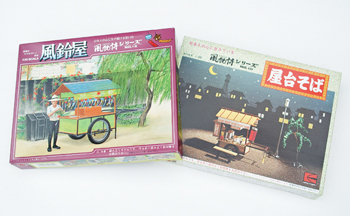 The nostalgia-inducing Fubutsushi sets recreate scenes of Showa Japan, from the local sweet shop to the late-night soba cart. 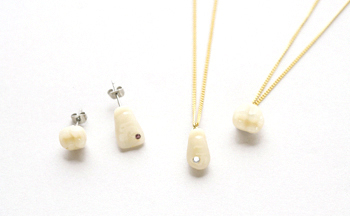 As unusual Tokyo souvenirs go, you could do a lot worse than Aquvii's line of tooth earrings and necklaces. 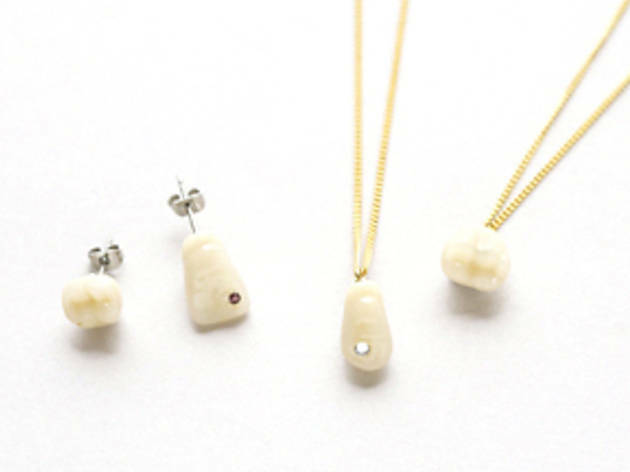 And don't worry: they're fashioned from medical-grade resin rather than real human gnashers, so you shouldn't have any trouble getting them past customs. 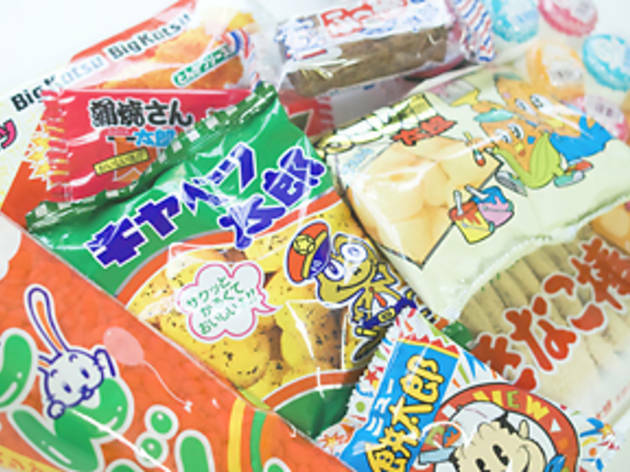 Sure, you could splurge on some highfalutin Japanese sweets at a department store. 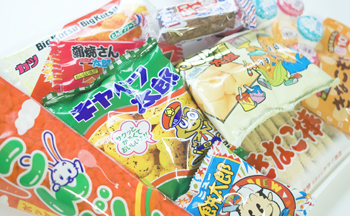 But your recipient would get a far better sense of contemporary Japan from a selection of cheap 'n' nasty children's snacks, courtesy of our friends at Don Quijote. 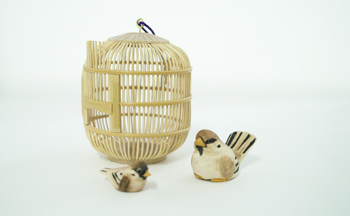 A six-floor bazaar devoted to traditional Japanese crafts, Bingoya should satisfy even the most jaded souvenir shopper. 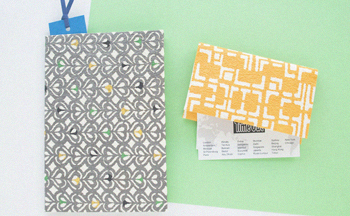 Their handmade washi (Japanese paper) products are oh-so-practical, with business card holders, book covers and more. 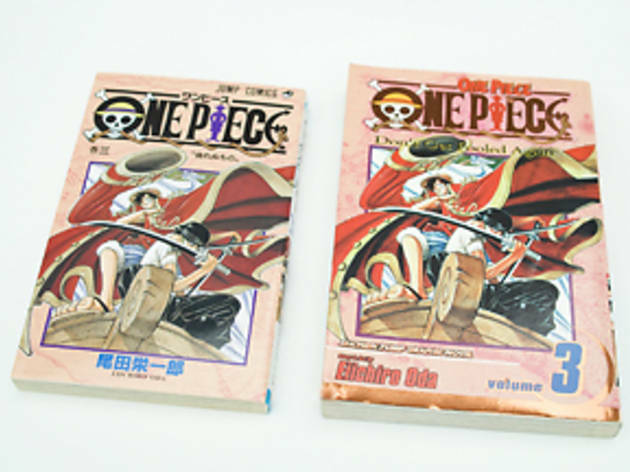 Manga, dojinshi fanzines, out-of-print books, fan merchandise: whatever your otaku obsession, you'll be able to sate it here. 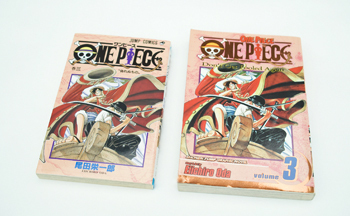 Perhaps more importantly, Mandarake also has a selection of English titles, if you want something that people back home can actually read.